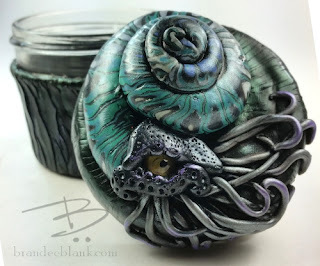 New Nautilus Design and more jars in general! I am really loving my jars! Every one I make I feel like I am on the verge of keeping. I am trying to branch out from the octopus design while avoiding doing dragons. 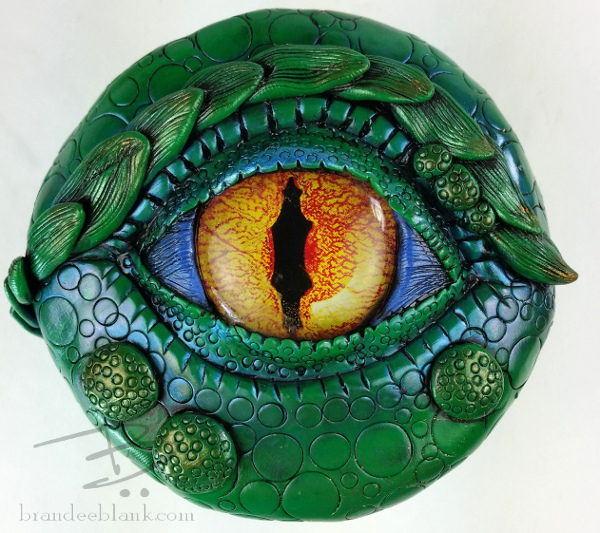 I know dragons are all the rage, but I learned how to do these eyes from a tutorial on "dragon eyes" and I don't want to impinge on the tutorial artist's territory. 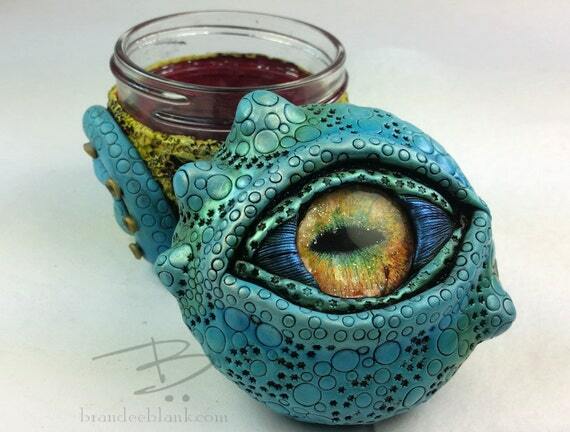 The weirdest (and disappointing) thing is that she started doing dragon eye jars literally days before I posted my first one unbeknownst to me. Imagine my chagrin when I proudly thought I had a totally original idea and I see that I was "beat". She is a lovely artist and has talents that I am terribly jealous of. 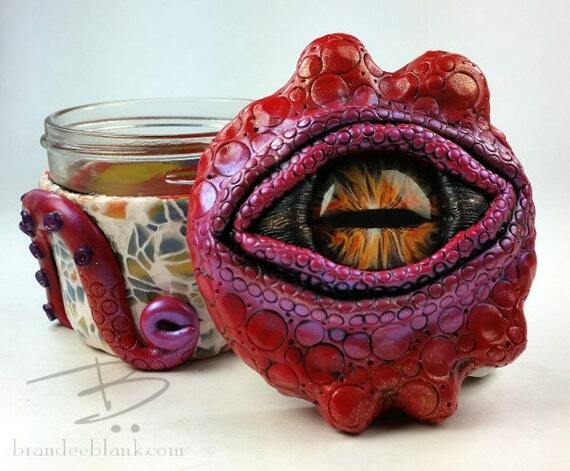 The least I can do is defer to her in this and not sell dragon eyes! There will be more to come with these guys. I am excited to see where the design ends up from this one, which is my first attempt. I love that I get to play around with different techniques and ideas on the body of the jars. I really never had room to do that when making jewelry, mostly because I don't like the way polymer jewelry that is just a cabochon look, so I just never really bothered to branch out.